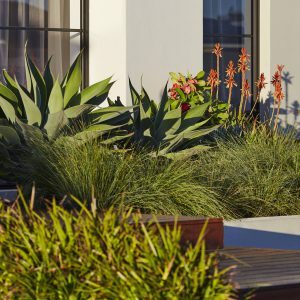 We design, construct and maintain beautiful gardens, giving life to a range of residential and commercial properties throughout the Augusta-Margaret River, Dunsborough and Busselton locales of Western Australia. 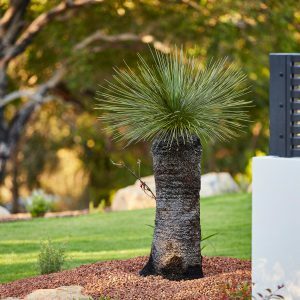 With a true passion for the region and many years' experience delivering bespoke landscapes, Backyard Creations will craft a unique outdoor space to enhance your property and lifestyle. 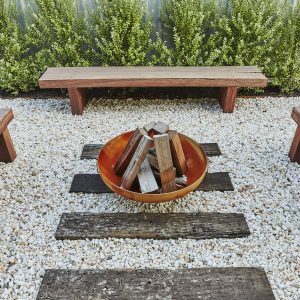 Whether you’re looking for a sleek entrance statement, a private outdoor oasis, or a leafy wonderland for the kids to play, Backyard Creations can bring your dream to life. Our proven approach to landscaping and garden maintenance ensures we deliver consistent, reliable landscape solutions no matter how complex the property. We have the machinery, resources and experience to deliver results and are committed to client satisfaction. We have developed our business on the values of trust and reliability. 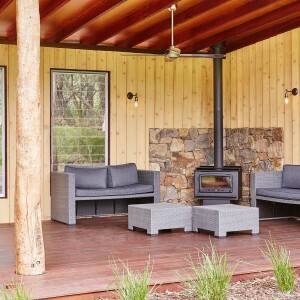 We take great pride in what we do, whether large or small, every Backyard Creations project receives the personalised service of a local business. This service is underpinned by the expertise of a qualified and experienced team. 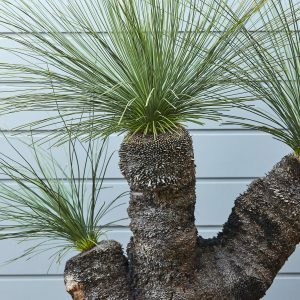 As a member of the Landscape Industry Association of Western Australia (LIAWA), Backyard Creations are bound by a strict code of ethics. Dealing with a LIAWA professional you can be confident in knowing that from start to finish you will be getting it right the first time, with the guarantee of quality workmanship, creativity and a high level of service. As the result of an initial onsite consultation, Backyard Creations will design a landscape that takes into account space, environment, vision and budget. This design is then taken through to a carefully considered construction and final outcome. To ensure your garden thrives alongside your busy lifestyle, you may wish to arrange regular or seasonal servicing through our Garden Maintenance division. Have a look for some garden enhancing products. We can’t speak highly enough of Steve and the team at Backyard Creations. From the creative (design) stage, through execution of the site work, to follow up service – it has been a real pleasure to work with you. The landscaping has exceeded our expectations, and we look forward to your support during the maintenance (and enjoyment!) phase. We will recommend Backyard Creations to others without hesitation. Steve, we just arrived back in MR. I have been wandering spell bound in the garden that you and the team have created. It is everything that Lynne and I imagined. We sincerely thank you all for your efforts in doing it so well and so efficiently. We had a very challenging block with some obstacles to overcome. Along came Steve and the gang, where nothing was a problem and anything was a possibility. After some lengthy discussions about our options and ideas, we put pencil to paper, smiled, shook hands and the end result was perfect. Mission accomplished. They we're very professional, efficient and love there job. I recommend them to any one. They are garden super hero's, they can do anything. Good stuff guys! Thank you Steve and the team at Backyard Creations for transforming a bare sand pit into a fully landscaped home. Your team was very quick to complete the job and I am very happy with the end product. Even when I didn't know what would work or what I wanted, you helped create the picture of what could be and then created it. Thank you! I am thrilled with the garden that Steve designed and created for me. Communication was excellent at all times and the whole team were a pleasure to have around. Nothing was too much trouble and at the end of each day the site was left neat and tidy. Most professional. A huge thank you to Steve and the boys for an amazing job on our 1000 sq m block in Cowaramup. From the initial consultation through to planning and implementation Steve had some great ideas and was 100% professional, we couldn't have asked for anything more. I would thoroughly recommend Backyard Creations for your next landscape project. Thanks Steve and the crew from Backyard creations for a quick, attractive no hassles job! What we liked most was that you were understanding, personable and approachable and yet utmost professional. Your business will flourish as beautiful as your gardens. Initially we chose Backyard Creations because we found we could communicate well with Steve Bolesta. He was sympathetic to our needs and provided the alternate solutions we needed to move forward. The job was completed in a professional manner by a most courteous and hard-working team who were always considerate of our needs. I have no hesitation in recommending Backyard Creations for any job – large or small. From our initial meeting to after sales service we have found Steve and his team at Bolesta’s Backyards, reliable, friendly and professional. 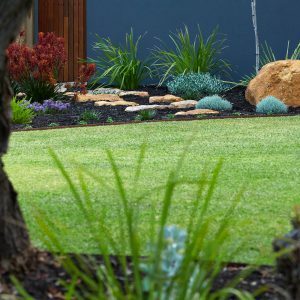 We provided Steve with a brief for our front and rear landscaping in Cowaramup. He embraced our ideas and added his own flair to create a perfect garden for a rural block. We now have a natural, low maintenance and water wise backdrop, which is encouraging bird and animal life to share our little piece of paradise. We would have no hesitations in recommending Steve undertaking any landscaping works or design. We are both delighted with our newly landscaped garden. With only some basic guidance you have transformed the sand pad around our new home to a wonderful outdoor space for the family to enjoy. Your friendly and professional attitude made it easy for us to choose Bolesta’s Backyard Creations. 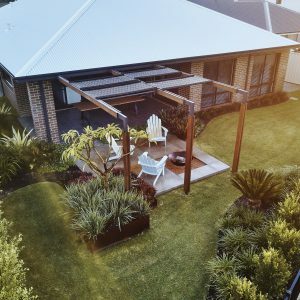 Your creativity in design and selection of materials and plants to compliment the house and surrounds has justified our selection of your services. I’d first of all like to begin by saying ‘thank you’ again to Steve and his team for the amazing job they completed at our new home. We came to him with our design, which he was more than happy to work with and he successfully created the look and feel we wanted to achieve. Steve is a true professional and that made us so comfortable throughout the process. He asked all the right questions when it came to the design and he provided us with some fantastic advice along the way. We couldn’t be happier with the outcome! Bolesta’s Backyard Creations have been looking after our complex but beautiful garden for 3 years. Visitors to Margaret River often stop to photograph the garden and on the last occasion we observed several people taking turns to sit on our wall and pose while friends captured them for posterity amongst the colourful backdrop that is carefully preserved and maintained by Steve and his team. Having now also tackled the landscaping of our ‘backyard’ we are even more impressed with the diversity and attention to detail provided by the ‘Backyard Boys’. We feel fortunate in finding customer focused professionals who are also a pleasure to work with. Thanks Steve.